В статье теоретически обосновано положение о тесной связи формирования правосознания в России с трансляцией традиционных ценностей из поколения в поколение за счет определяющей роли православной веры в жизни русского человека. В результате сравнительного анализа европейских и российских философско-правовых концепций выявлены сущностные различия формирования правосознания в России и Европе, связанные с влиянием религии. Ключевые слова: православное мировоззрение, правосознание, правовая культура, философия права, система ценностей. Аксаков К.С. Об основных началах русской истории // Полн. собр. соч. Т. I. M., 1889. С. 11—24. Астафьев П.Е. Философия нации и единство мировоззрения. М.: Москва, 2000. Вебер М. Протестантская этика и дух капитализма // Избранное: Протестантская этика и дух капитализма. 2-е изд., доп. и испр. М.: РОССПЭН, 2006. С. 19—186. Герцен А.И. О развитии революционных идей в России // Собрание сочинений: В 30 т. Т. 7. М.: Изд-во АН СССР, 1954. С. 133—266. Гавриил, архимандрит (Василий Николаевич Воскресенский). История философии. Часть VI. Прибавление второе. Русская философия. Казань: Университетская типография, 1840. Гавриил, архимандрит (Василий Николаевич Воскресенский). Философия правды. Казань: Университетская типография, 1843. Иоанн Дамаскин. Диалектика, или Философские главы. М.: Екклесия пресс, 1999. Декларация независимости. Конгресс, 4 июля 1776 г. // Соединенные Штаты Америки: Конституция и законодательство / Под ред. О.А. Жидкова. М.: Прогресс, Универс, 1993. С. 25—28. Ильин И.А. О сущности правосознания // Собр. соч. : В 10 т. / Сост. и коммент. Ю.Т. Лисицы. Т. 4. М.: Русская книга, 1994. С. 149—414. Кант И. К вечному миру //Соч. : В 6 т. Т. 6. М.: Мысль, 1966. С. 257—347. Коркунов Н.М. История философии права. СПб. : Типография А.С. Суворина, 1908. Кузнецов Э.В. Философия права в России. М.: Юридическая литература, 1989. Панарин А.С. Православная цивилизация в глобальном мире. М.: Эксмо, 2003. Сапронов П.А. Россия и свобода. СПб. 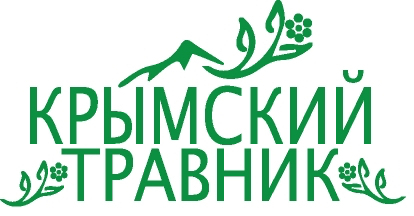 : Издательство Русской христианской гуманитарной академии, 2010. Сенюшкина Т. Одухотворяющее преобразование жизни: религиозность и государственность в русском правосознании // Москва. 1998. № 9. C.187—191. Соловьев Э.Ю. Прошлое толкует нас: Очерки по истории философии и культуры. М.: Политиздат, 1991. Слово о законе и благодати митрополита Илариона [Электронный ресурс] // Библиотека литературы Древней Руси / РАН. ИРЛИ; Под ред. Д.С. Лихачева, Л.А. Дмитриева, А.А. Алексеева, Н.В. Понырко. СПб. : Наука, 1997. Т. 1: XI—XII века. Электронные публикации Института русской литературы (Пушкинского Дома) РАН. Режим доступа: http://lib2.pushkinskijdom.ru/tabid-4868. Сморчков А.М. Религия и власть в Римской республике. М.: РГГУ, 2012. Токвиль А. де. Демократия в Америке/ Предисл. Г.Дж. Ласки. М.: Прогресс, 1992. Chen J., ed. Chinese Law: Towards an Understanding of Chinese Law, Its Nature and Developments. Hague, London, and Boston: Kluwer Law International, 1999. Gellner E. Nations and Nationalism. Oxford: Blackwell Publishers, 2006. Hiltebeitel A. Dharma: Its Early History in Law, Religion, and Narrative. New York: Oxford University Press, 2011. Senyushkina T. "Influence of Orthodox Values on Formation of the Philosophy of Law in Russia." Hodnotovy system prava a nabozenstva v medzikulturnej perspektive. Eds. D. Kroslak and M. Moravchikova. Praha: Leges, 2013. S. 322—332. Сенюшкина, Т. А. Православная система ценностей как фактор формирования правосознания в России [Электронный ресурс] / Т.А. Сенюшкина // Электронное научное издание Альманах Пространство и Время. — 2015. — Т. 9. — Вып. 1: Цивилизации в эпоху глобализма. К 75-летию со дня рождения А.С. Панарина. Тематический выпуск кафедры философии политики и права Философского факультета МГУ имени М.В. Ломоносова. — Стационарный сетевой адрес: 2227-9490e-aprovr_e-ast9-1.2015.43. In circumstances where Russian social system transforms dramatically, scientific community feels the need for philosophical reflection whose aim is a comprehensive understanding of changes taking place in society. The peculiarity of the present stage of the Russian society development is that in Russian collective and individual consciousness scrapping the previous socialist values system has occurred. However socialist society is also formed as a result of breaking the previous value system. In this connection, studies aimed at systemic studies of the genesis of value changes in Russian society and its manifestations in the field of religion and law become especially important now. Subjects of my research are characteristic features of Russian justice, which historically formed under the influence of the Orthodox values. So my research methodology is based on philosophical and legal approach and includes axiological analysis, historical and genetic, and comparative methods. In my article, I show formation of legal awareness in Russia is closely linked to the influence of traditional values that were passed on from generation to generation through the determining role of the Orthodox faith in the life of the Russian people. I assume understanding the features of justice that was formed in Russia is impossible without a deep understanding of the religious foundations of cultural and historical type, spawned specific form of Russian legal culture. Comparing European and Russian philosophical and legal concepts, I have identified essential differences between these two legal ideas. It allows comprehending peculiarities of justice in Russia and Europe, which are linked to the influence of religion. I have shown ancient Russia possessed a distinctive and vibrant legal culture. In particular, the central idea of Metropolitan Hilarion’s Sermon on Law and Grace (which was one of the first Ancient Russian political treatises) was opposition of Grace and Law when the Law was understood as formal requirement, imposed from outside. I show values hierarchy of Orthodox legal awareness in Russia effect on the formation of a special type of philosophical understanding of law other than German rationalist philosophical tradition. On the basis of a comparative analysis of Immanuel Kant’s and Ivan Ilyin’s philosophical and legal concepts, I have identified two different approaches to the justification of the essence of law. In Kant's philosophy, pragmatic conditionality law that nimbed saintly, is primarily, while in Ilyin’s concept essence of law is revealed through its religious meaning, which is original condition of the existence of law itself. (ii) we could find the origins of Russian legal culture in the context of the Orthodox philosophy of law, as a ‘self-indication’ of inner logic of Russian philosophical and legal tradition (when this logic is built in accordance with the Orthodox values). (v) origins of Russian legal awareness are in the Orthodox faith; and Orthodox Christians’ legal life is essentially identified with the religious life; so in the Orthodox system of values, the relationship between law and religion are such that the right functions as a of the trail, whereas religion is leading. Keywords: Orthodox worldview, legal awareness, law culture, philosophy of law, values system. Astafiev P.E. Philosophy of Nation and Unity of the World. Moscow: Moskva Publisher, 2000. (In Russian). Aksakov K.S. "On the Fundamental Principles of Russian History." Complete Writings. Moscow, 1889, volume 1, pp. 11—24. (In Russian). De Tocqueville A. Democracy in America. Moscow: Progress Publisher, 1992. (In Russian). "Declaration of Independence. Congress, July 4, 1776." United States of America: The Constitution and Law. Ed. O.A. Zhidkov. Moscow: Progress Publisher, Univers Publisher, 1993, pp. 25—28. (In Russian). Gavriil, Archimandrite (Vasiliy N. Voskresensky). History of Philosophy. Kazan: Typography of Kazan University Publisher, 1840, part 6. (In Russian). Gavriil, Archimandrite (Vasiliy N. Voskresensky). Philosophy of the Truth. 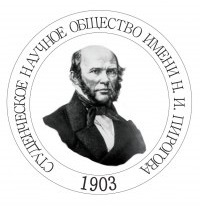 Kazan: Typography of Kazan University Publisher, 1843. (In Russian). Herzen A.I. 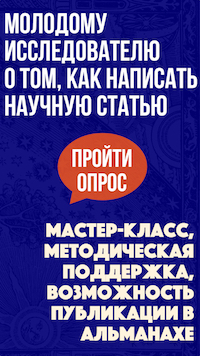 "On the Development of Revolutionary Ideas in Russia." Collected Works. Moscow: USSR Academy of Sciences Publisher, 1954, volume 7, pp. 133—266. (In Russian). Ilyin I.A. "On the Essence of Legal Awareness." Collected Writings. Moscow: Russkaya kniga Publisher, 1994, pp. 149—414. (In Russian). John of Damascus. Dialectics or Philosophical Chapters. Moscow: Ecclesia Press Publisher, 1999. (In Russian). Kant I. "Perpetual Peace." Collected Writings. Moscow: Mysl, 1966, volume 6, pp. 257—347. (In Russian). Korkunov N.M. History of Philosophy of Law. St. Petersburg: A.S. Suvorin’s Typography Publisher, 1908. (In Russian). Kuznetsov E.V. Philosophy of Law in Russia. Moscow: Yuridicheskaya literature Publisher, 1989. (In Russian). Panarin A.S. Orthodox Civilization in a Global World. Moscow: Eksmo Publisher, 2003. (In Russian). Sapronov P.A. Russia and Freedom. 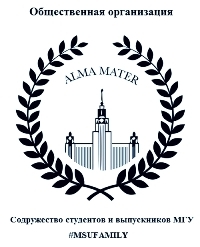 St. Petersburg: Russian Christian Humanitarian Academy Publisher, 2010. (In Russian). Senyushkina T. "Spiritualized Transformation of Life: Religious and Legal Awareness in Russia." Moskva [Moscow] 9 1998: 187—191. (In Russian). Smorchkov A.M. Religion and Power in Roman Republic. 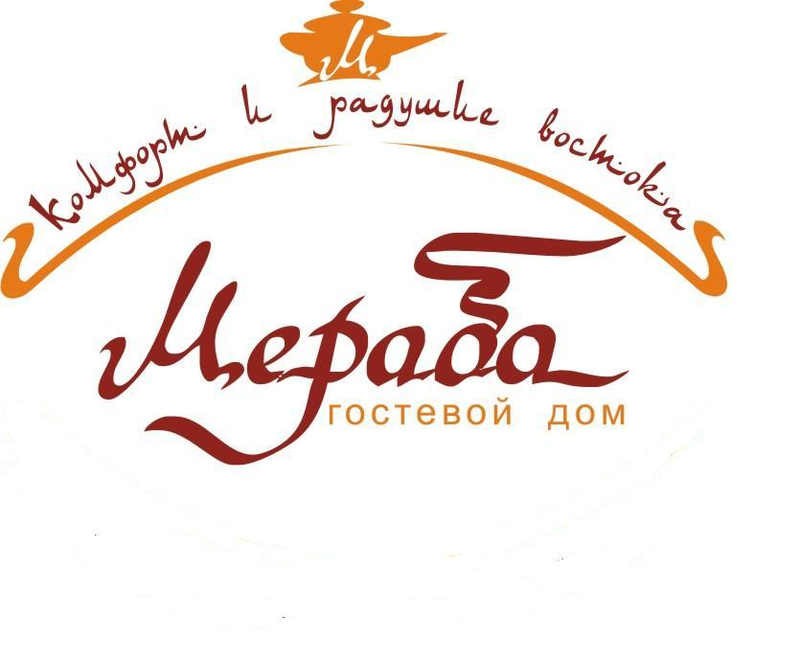 Moscow: Russian State Humanitarian University Publisher, 2012. (In Russian). Soloviev E.Yu. Past Interprets Us: Essays on the History of Philosophy and Culture. Moscow: Politizdat Publisher, 1991. (In Russian). Weber M. "The Protestant Ethics and the Spirit of Capitalism." Selected Writings. The Protestant Ethics and the Spirit of Capitalism. Moscow: ROSSPEN Publisher, 2006, pp. 19—186. (In Russian). Senyushkina, T. A. "The Orthodox Value System as a Factor of Legal Awareness in Russia." Elektronnoe nauchnoe izdanie Al'manakh Prostranstvo i Vremya [Electronic Scientific Edition Almanac Space and Time. Civilizations in the Age of Globalism: On the Occasion of 75th Anniversary of the Birth of Alexander S. Panarin. Thematic Issue of the Chair of Philosophy of Politics and Law, Philosophical Department of Lomonosov Moscow State University] 9.1 (2015). Web. <2227-9490e-aprovr_e-ast9-1.2015.43>. (In Russian).